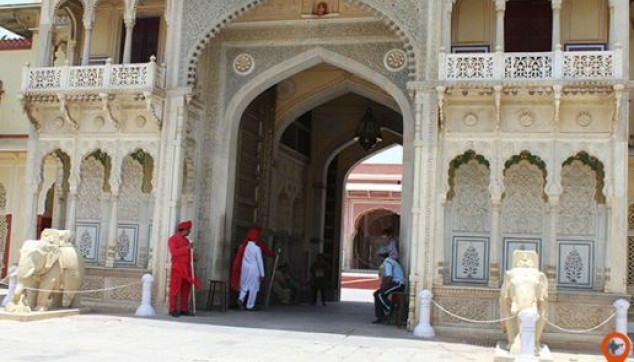 This 2 day private Jaipur tour package is an excellent way to explore the imperial city of Rajasthan, Jaipur is also named as ‘pink city’ placed amidst of the Aravali Hills. Jaipuir is also remarkable for its rich tradition, culture, elegant attire and colorful past. Jaipur tour has a bundle of things to do for its visitors including magnificent Jal Mahal is located in the middle of Mansagar Lake, Birla Temple, ingenious architecture of Hawa Mahal, gigantic Amer Fort including elephant ride and in the evening traditional dinner at Chokhi Dhani. Revel in the Elephant Ride at Amer Fort. Mesmerizing glance of Water palace (Jal Mahal) along with Camel ride. 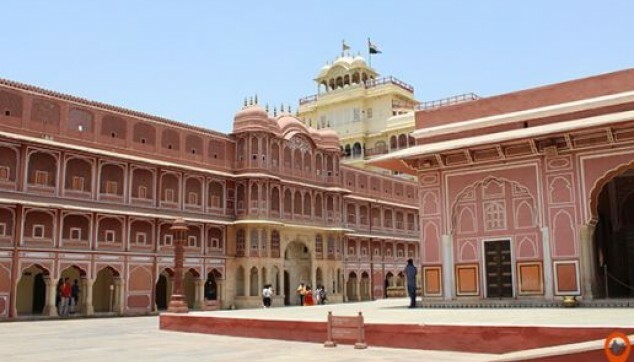 Explore the Royal Rajasthan Pink City with the expert tour Guide. Appreciate the skillful architecture of the 5 storey Hawa Mahal. Explore the antique things at the royal City Palace. You will be picked up from Jaipur Hotel/railway station or airport recommended arrival time between 10:00 – 15:00. After picking up proceed to the hotel, after check in rest and refreshed for some while in the hotel. Your private Jaipur Tour will start from Birla Temple. Birla Temple is also known as Lakshmi Narayan temple situated at the foot of Moti Doongri. The Temple has various appreciating features like interactive carvings on the walls, magnificent design, etc. Later in the evening, we will drive you to the Chokhi Dhani, the place entertains you with vast Rajasthani traditional dance, music, puppet shows and dinner. After dinner drops you back to the Jaipur Hotel. In the morning after breakfast, check out from hotel, Drive towards the Amber Fort, constructed with red and white sandstone. Amer Fort is a perfect amalgamation of Hindu and Muslim style of architecture, you can also enjoy Elephant ride here. Afterwards, We will take you for the outside visit of the magnificent Jal Mahal, located in the middle of Mansagar Lake. This place is considered to be the romantic destinations of Jaipur. You can also have fun on Camel ride here. After that, our next visit is the Hawa Mahal or a ‘Palace of Winds’ designed by Lal Chand Ustad and constructed with red and pink sandstone. This palace is one of the remarkable landmark of the Jaipur city. Subsequently, we visit the fascinating City Palace houses many buildings, including Chandra Mahal, Mubarak Mahal and more. City Palace exhibits a rich collection of Rajput warriors. After the Jaipur city tour our envoy will take you in some famous handicraft and jewelry shops where you buy some gift and souvenir. 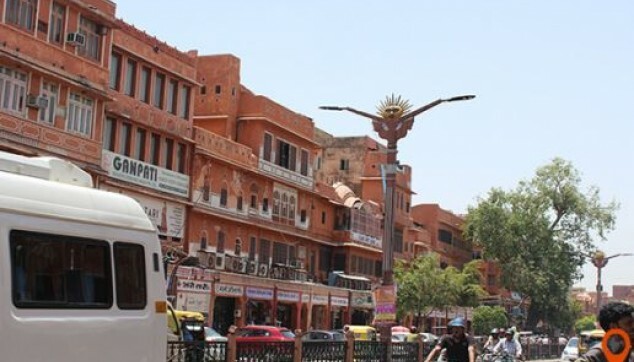 After shopping, you will be dropped back to the Airport, Railway station or any Hotel within Jaipur city and now this is the end of your memorable Jaipur Tour Including Elephant Ride and Chokhi Dhani dinner. Sightseeing with English speaking tour guide. One night hotel accommodation in good 4 star Hotel. Entry Fee of mentioned monuments. Transfer by Private air condition Car. Elephant ride at Amer Forts. Camle Ride at jalmahal or Chokhi dhani. Less than 09 days prior commencement of tour, No Refund. Jal Mahal is a drive-by experience. You can spend 15 - 20 mins there, click some pictures and grab an ice cream while you are there.